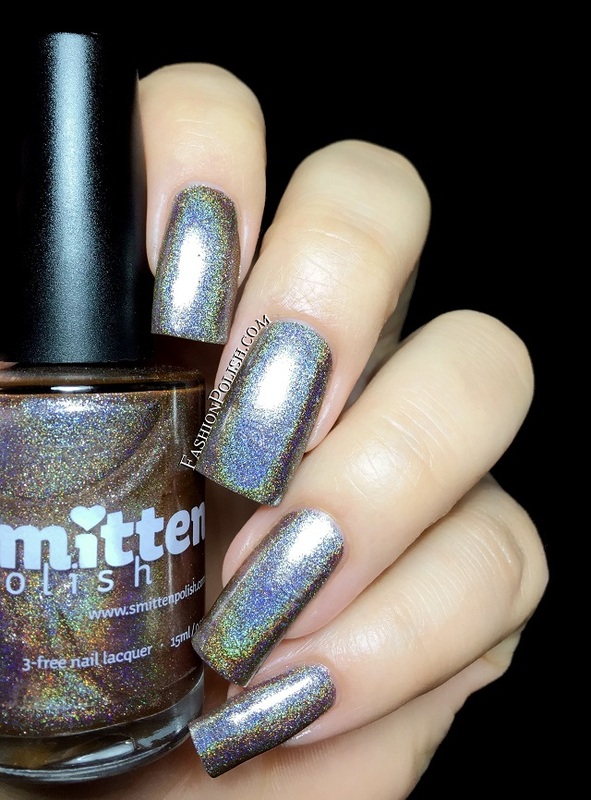 Fashion Polish: New on Hypnotic Polish : Smitten Elixir and 3 Fall holos! 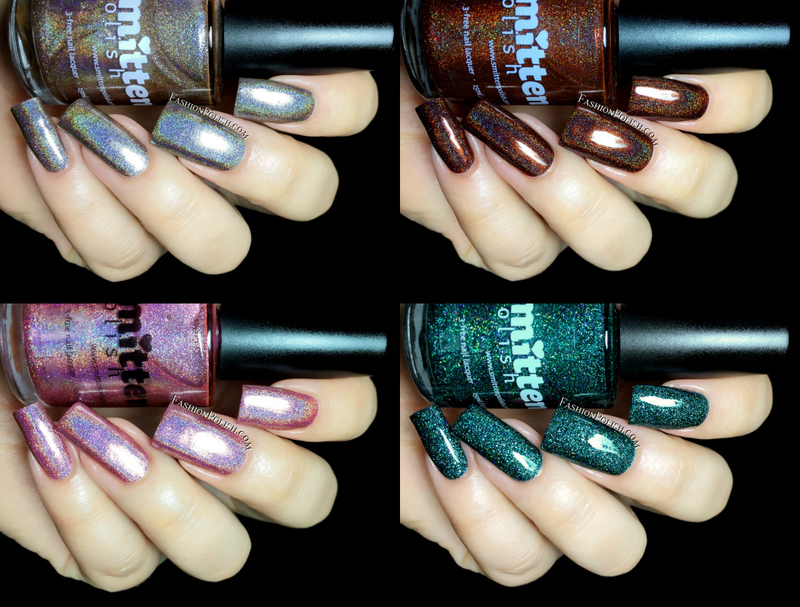 New on Hypnotic Polish : Smitten Elixir and 3 Fall holos! Hi guys! I'm back today with half of the Smitten Polish Fall collection and the Hypnotic Polish exclusive : Elixir. This is my first time trying Smitten. Truth is, I've been eyeing the brand for quite some time now but I had never actually tried them so I was really curious to finally do it. Udora’s Harvest is a metallic rose pink. It almost feels like a foil, especially in the shade where the holo is less visible. I used 2 coats and no topcoat. Antiquing is a metallic pewter holo with a strong brown hue. I wasn't sure it would work with my skin tone but it did. Shown here : 2 coats and no topcoat. 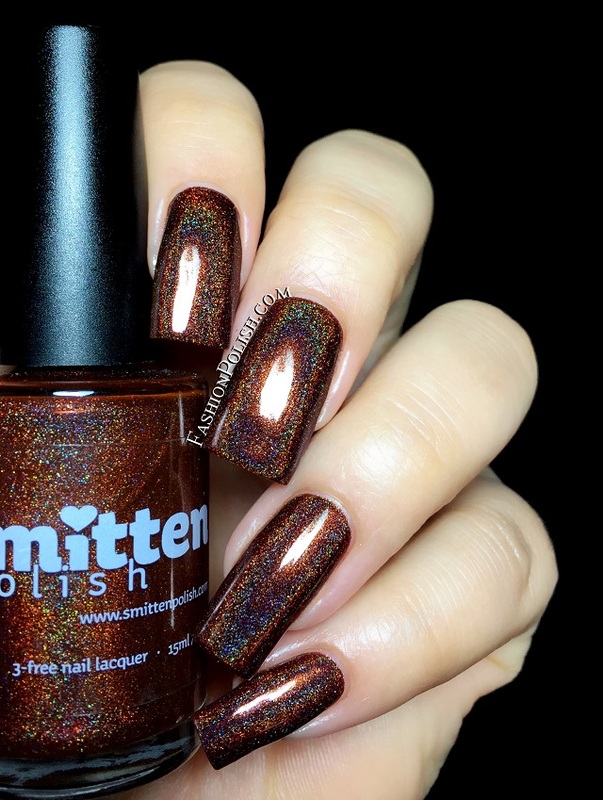 Seasonal Lattes is a brown holo. So much gloss and glow, I think I have found my favorite brown holo ever! This is 2 coats and no topcoat. 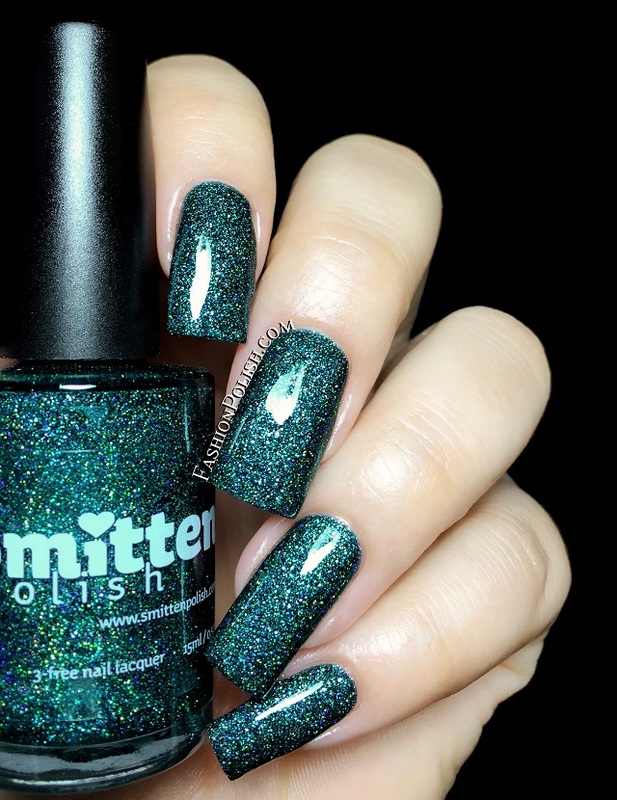 Elixir (Hypnotic Polish exclusive) is a dark teal-green holo glitter in a teal jelly base. A lot of depth and sparkle, beautiful. I used 2 coats plus topcoat. 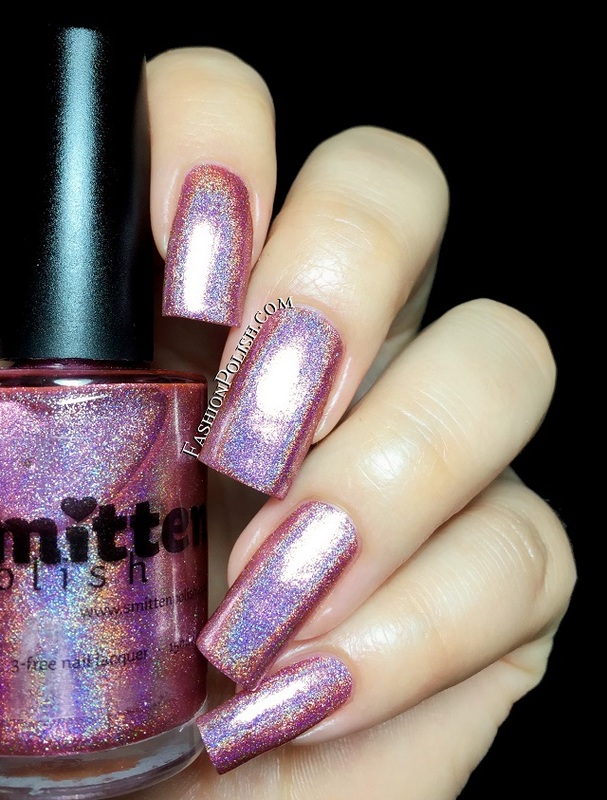 Smitten Polish is available for purchase on Hypnotic Polish and retails for 9.85€ to 11.85€ each. Worldwide shipping available. What do you think about these? Are you as impressed with Seasonal Lattes as I am? Thanks for looking and commenting!